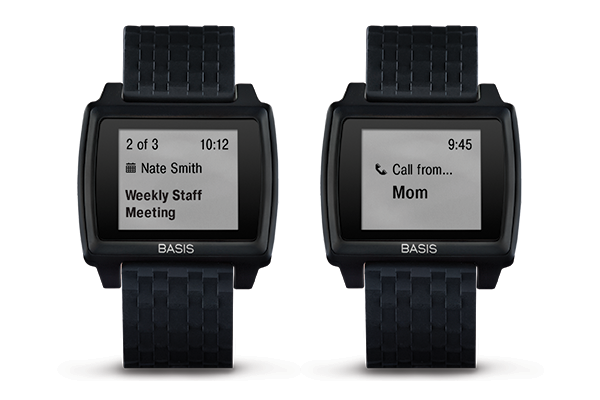 The Basis Peak doesn’t try to replicate a smartphone on your wrist. Instead, it’s meant mainly for fitness and sleep tracking. To that end, the company announced today that the health tracker will now share heart rate data with third-party fitness iOS apps like Strava, RunKeeper and Endomondo. Unlike other health trackers or smartwatches, the Peak constantly monitors your heart rate without the wearer having to enable the feature. There is very limited compatibility with Peak and third party Android apps with the heart rate profile due to current protocol incompatibility. Basis will continue to explore options to increase compatibility. Basis also announced that the Peak will receive a firware update in December to enhance the Bluetooth connection to iOS and Android devices and add a notification center to the device, alerting user about texts, phones calls and calendar events from their smartphones. The company also announced that new SportVent straps will be available in December, in five colors: Ember (red), Coral, Vapor (blue), Onyx (black) and Firefly (green) for $29.99 each. While today’s support for third-party fitness apps is helpful for athletes and anyone that wants to track their health, the upcoming notifications will make the Peak a much more appealing alternative to the current range of smartwatches out there.